It turns out in this instance that the Operating System image that was attempting to be compiled into a Stand-Alone USB Drive was approximately 10GB's in size. 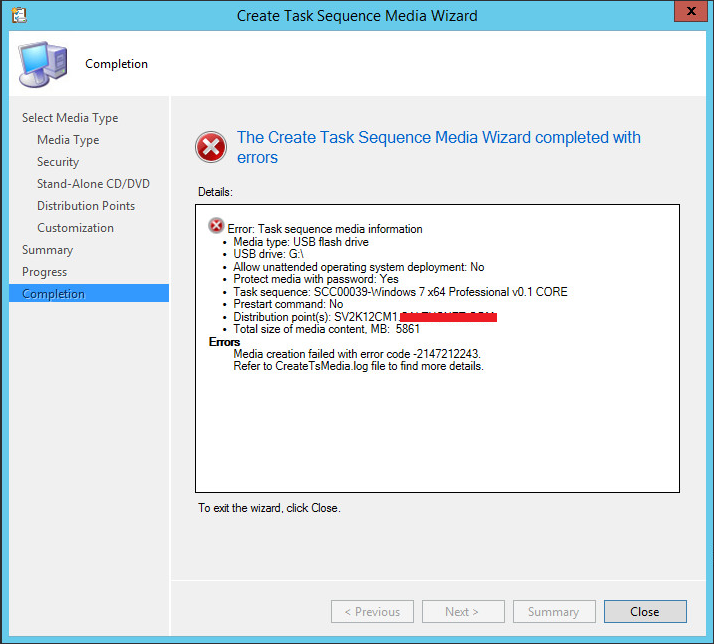 Having done some research on the Internet it appears to be a known issue for OS images greater than 4.75GB's to fail with The Create Task Sequence Media Wizard Completed with Errors -2147212243" Refer to CreateTSMedia.log File. 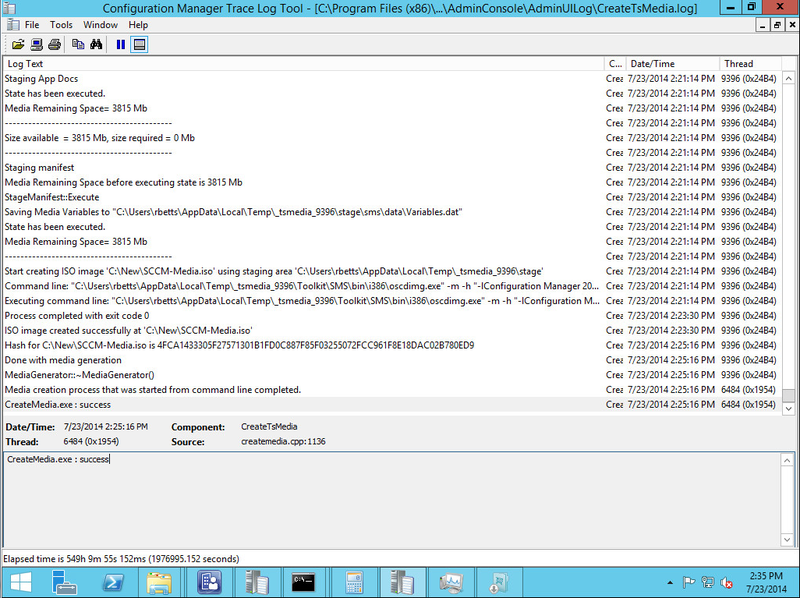 I opened up the CreateTSMedia.log file using the CMTrace utility, the log can be found at C:\Program Files (x86)\Microsoft Configuration Manager\AdminConsole\AdminUILog. 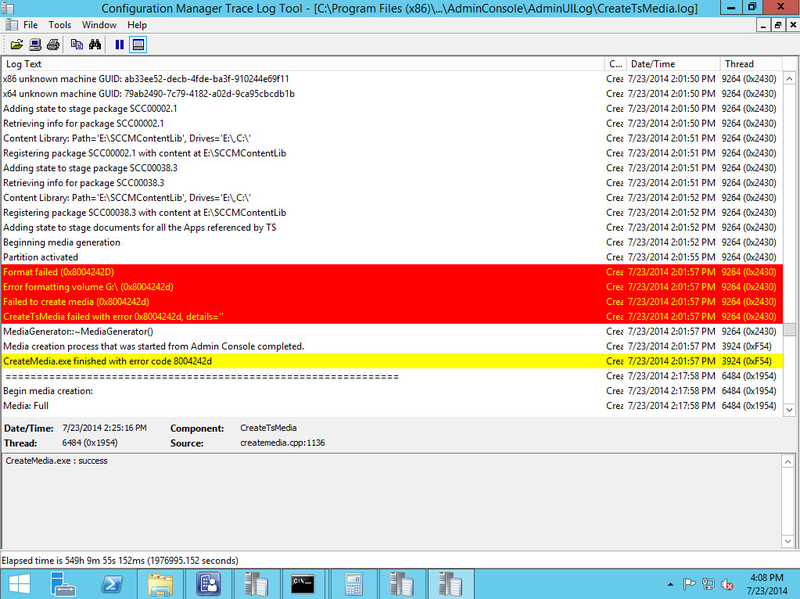 From the log file there is a number of error relating to the formatting of the USB Drive. The USB Drive was brand new out of the packet, 32GB in size and was formatted in NTFS. I decided to manually format the USB Drive and try again, same result. 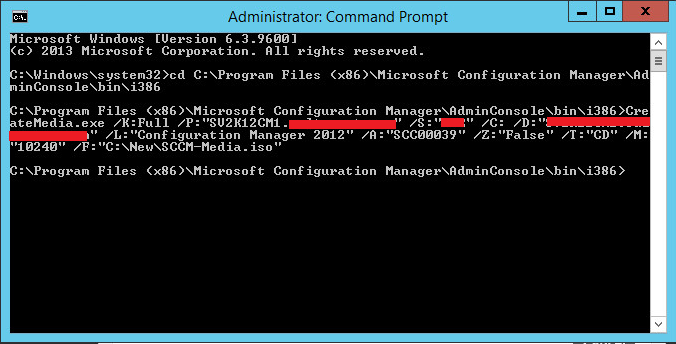 It transpires that to work around this issue you must use the Command Prompt to manually create an ISO containing all the SCCM components. The ISO file can be larger than 4.75GB's therefore it does not suffer the same issues as the automated wizard. The following command can be used at an Administrative Command Prompt to generate an ISO file of an entire Task Sequence's components. Change each of the variables in the command above to match the environment. To keep an eye on how the ISO being created the CreateTSMedia.log can be used to monitor the progress. It will end with the statement CreateMedia.exe: Success if the ISO has been created successfully. 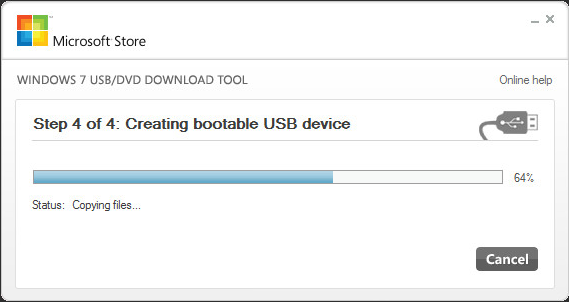 Now instead of using diskpart you can use the Windows 7 USB/DVD Download Tool to create a bootable USB Drive from the ISO file. It will usually fail at 99% reporting it is unable to copy files, in most cases the USB Drive still works correctly.